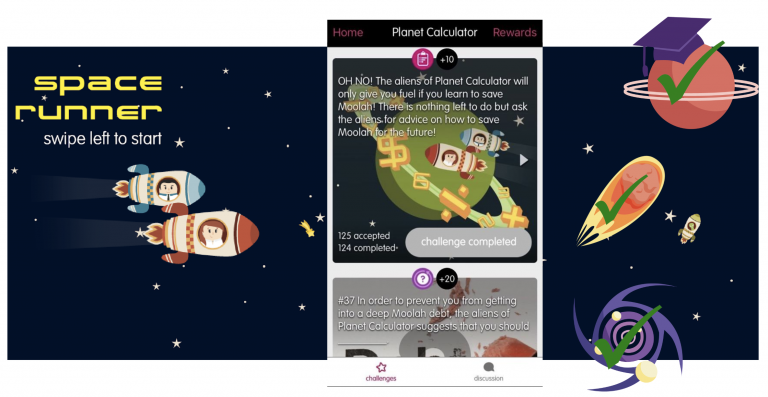 The Space Runner was a campaign launched in February 2015 to encourage learning amongst a bank’s employees. 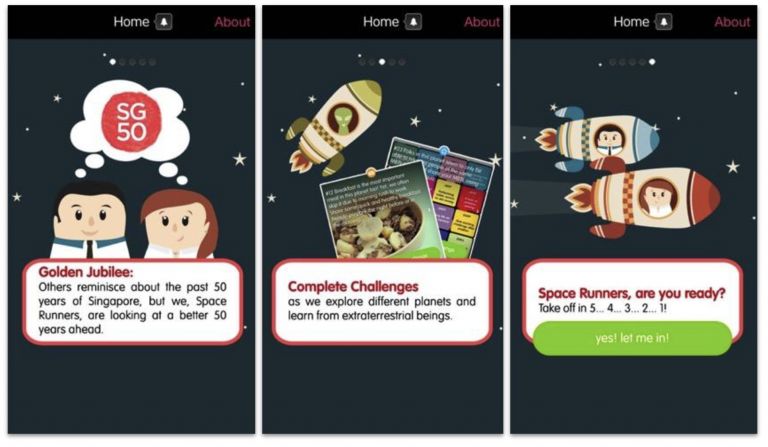 In commemorate SG50, the Space Runner has a storyline where players embark on a learning journey in the galaxy to bring 50 valuable lessons back to the homeland. The Space Runner featured two space runners venturing into the galaxy where there are various planets, comets and satellites to explore. There were 13 “stations”, all with different challenges revolving around a certain theme: for example, planet stations covered holistic learning, while non-planet stations covered one module of the bank’s campus learning modules. The game’s content was made interesting by implementing storylines and introducing different scenarios. Witty options also made the game more appealing. In addition, the copywriting included the use of Singlish and Internet language, such as using ‘moolah’ for money and the inclusion of memes. As there were 418 unique players out of 6,000 employees, this reflected an estimated 7% participation rate over the course of the games. There were 10,538 challenges completions, averaging at 25 completions per player (28% of the game). Despite large amounts of content, the Space Runner managed the engage users by ensuring an immersive and thematic approach by relating every aspect of the game to the space travel concept. In addition, the user experience was enhanced with the entertainment value of various touches including the use of Singlish and internet memes. The Space Runner is an excellent example of aesthetics and storyline implementation of gamification. To better improve the game based on objectives, the content could have been improved in iterations based on player feedback and behavior over time. It could better received with the introduction of competition, other form of rewards, and lesser or simpler challenges.